When you’re looking to start a part time home business, it’s important to choose a market or niche that you are interested in. Running a spare time business is challenging enough without trying to do it when you don’t have any interest in what you’re doing. But when you love what you’re doing, you have the motivation to learn how to make it successful. And, as most part time home business owners also have another full time job or perhaps are a full time parent, you have to have the enthusiasm and drive to want to work in your spare time. The best part time work from home opportunities are, without doubt, on the internet. The set up costs for an online business are low as compared to a traditional ‘bricks and mortar’ business. But where do you start? The first thing you have to do is decide what do you want most from part time home business? Supplemental income? Potential for full-time income in one year or less? Freedom to work from home or anywhere you find an internet connection? Identify your top three goals and create an immediate to-do list. What’s necessary to get a business online? Your first three priorities are to get a domain name, build a website and get an autoresponder. 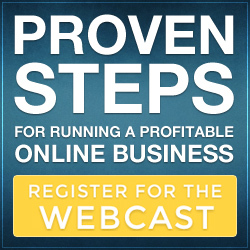 This is not as complicated as it might sound and there are many online business training courses available. Also, you need to make sure you have high speed Internet access that’s reliable and the the best quality computer you can afford. If you’re not sure what which markets or niches you are interested in, imagine you have a whole day to yourself. What do you spend it doing? Would you spend it perfecting new recipes? Working in your garden? Writing stories? If you’re still having trouble, look at your spare time hobbies. What do you enjoy doing ? What do you spend your money on? Get it down to your top three. These three should be your main choices – the niches you have the most interest in. Begin reading and researching your chosen markets. Sign up to receive updates from relevant industry blogs as it pays off in big ways to know the current issues and events in your chosen niches. Blogs from both experts and amateurs are a great way to learn about what’s happening. Search blog directories for your category by going to a search engine and typing in “blog directories.” Then choose a blog directory and browse it by category. When you’re setting up a spare time business, don’t just be guided by income level (although you should consider that, too). Just remember when your niche interests you, it shows to your customers and when you’re only in it for the profit you can make, that shows too. Choose a niche that you can earn an income in and gain personal satisfaction from. Once you know which niche is right for your part time home business, take a minute and ask yourself, “What’s not being covered? Which audiences are being ignored? Who are the rising stars on the horizon and how will they change the niche?” Since you already have an interest in these niches, you’ll be better at gaining consumers that other entrepreneurs are missing. Regardless of your age, education, technical skills or qualifications there are no specific requirements if you want to start your own spare time business on the internet. If you can send an email you can do it. The best part time home business model has a clear direction with products designed for a specific target audience as well as training and support. 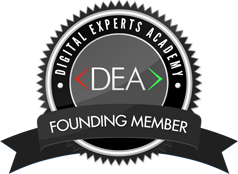 The best online business courses are available from the world’s first digital marketing academy. It specifically shows entrepreneurs how to build their own part time home business on the internet with a FREE Online Business Training Course. This entry was posted in Online Business, Work from home and tagged Best Work From Home Business, home business opportunity, How to Build a Succesful Online Business, online business training, part time home business on June 9, 2014 by Jon Allo.